Inspiration! Roundup: Water Lines, Dancing on Hold, Bodies at Work, and More! This Week's "I want to go to there": To the light at the end of the tunnel. 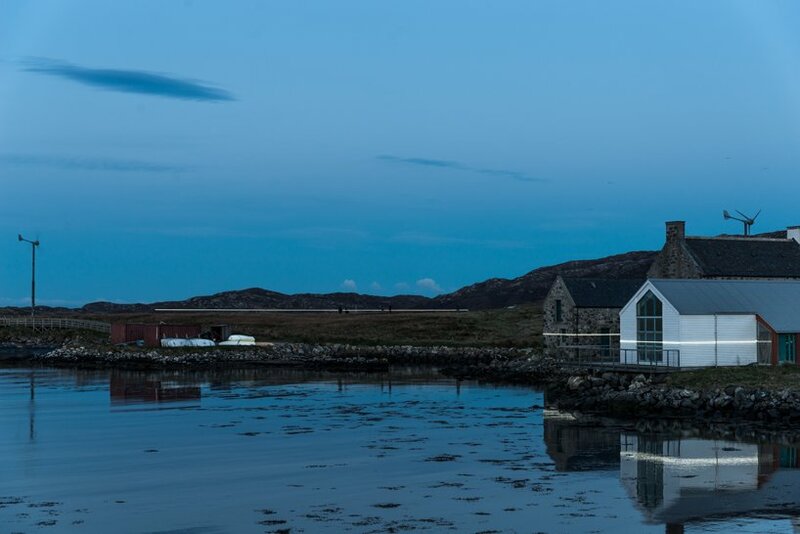 Artists pekka niityvirta and timo aho have created an installation in a coastal Scottish town with lines of light showing where water levels will rise to once global warming takes effect. Some hip artists held an on-hold dance party, with music made up of "phone sounds". While that sounds too cool to be fun, the headline of this Colossal article about it is very evocative: "Just Because You're on Hold Doesn't Mean You Can't Dance." Think about that one with me for a while? Eiko Ojala's paper illustrations showing the body at work are so cool! I might do some things differently. Artist James Brunt takes the sticks, rocks, and leaves he finds in an area and arranges them into beautiful mandalas.